Lethargy is the consequence of an unbalanced and inefficient way of life that primarily focuses on one thing on account of everything else. Certainly, like every other household and business professional, you strive to live a well-rounded and balanced life. However, whether you work for someone else or are a self-employed individual, you probably feel stressed and overloaded at many times. Successful time management is not about performing your job well. Rather, it is about living a happy and fulfilling life. Consequently, you must make enough time for the things you want to do that include your work, home activities, hobbies and just about anything that ensures personal satisfaction. However, are you facing one or more of the following symptoms? If one or more of the above statements are true for you, you probably find it hard to create any productive work or live a joyful life. Do not worry! We will discuss 8 effective ways for successful time management. Avoid rushing into your day. Instead, take a few moments to sit quietly and relax your thoughts and emotions. Begin your day by determining what important matters are priority and mentally prepare yourself to face whatever your day brings. Time management begins with creating a set of feasible tasks every day centered around your reasonable goals for what tasks you can execute that day. Be reasonable and know that you are human. Prioritize what you must achieve today and try not to make your plate too full. Even thinking about big tasks can make you feel, in many ways, overwhelmed and hopeless. It can also hinder you from doing many other things that you have to do unless you are diligent and careful. Therefore, break your tasks up into manageable pieces so that you know how to handle them individually, what you will get done by the end of the day, and what you will do every day over the period of the next week. This is another secret of time management. In a corporate environment, bookkeeping is an essential, feasible unit in financial management. Determine the most effective order to handle the things that have to be performed as well as the things that you can ignore without regret. It may imply that you may have to say ‘no’ to others who want you to do certain things that are either meaningless to you or you do not have enough time for. No is always an acceptable answer. Certainly, you cannot do everything alone. Thus, the more responsibilities you have, the more you need to delegate your work to your assistants and subordinates. Successful time management requires you to let them do whatever they are most efficient in so you can do you what you excel best in. Delegation ensures you have optimal creative energy and time for the matters you are naturally better at. Occasionally, you have to put in more efforts and time to meet a deadline or you may feel inspired to work late into the night. Although it makes sense, keeping that intensity up forever is certainly very difficult. Even if you need to force yourself in order to take some time off, you should do it. As good entrepreneurs give their employees time off, you should consider it for yourself as well. 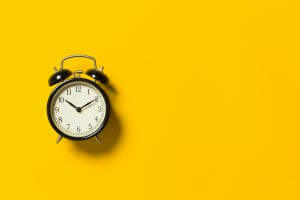 It is another important rule to be followed to improve time management skills. Sure. We all have long to-do lists. And, it seems like everyone wants something from us. Before you hit a wall and completely burn yourself out, it’s important to live a well balanced list. Take the time to eat during the day. Allow yourself moments of calm and leisure. It’s also important to schedule in a little exercise each and every day so that your body stays healthy which will actually allow you to work more productively in the long run. And, lastly, being social with friends in family is more important to your mental health than you would think. Take the time to do the things which make you feel more balanced and fulfilled. Most experts of time management end their day by making a brief list of what they have to do the coming day. Thus, they have everything fresh in their mind with optimal clarity and are ready to go once the sun comes up.